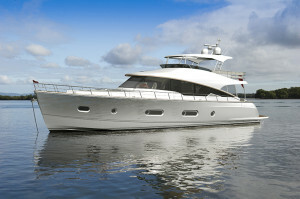 Exclusively for sale with RMJ, the sales office based at the home of Riviera. 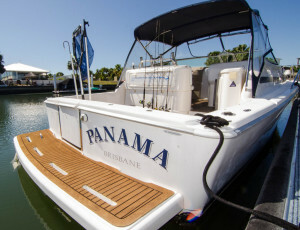 'Panama' is a stunning example of a series 1 Riviera 3000 Offshore Express. 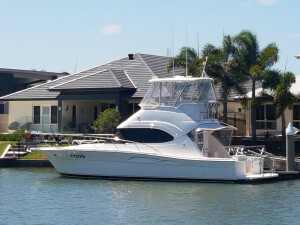 She has been antifouled in October 2017, and serviced December 2017. 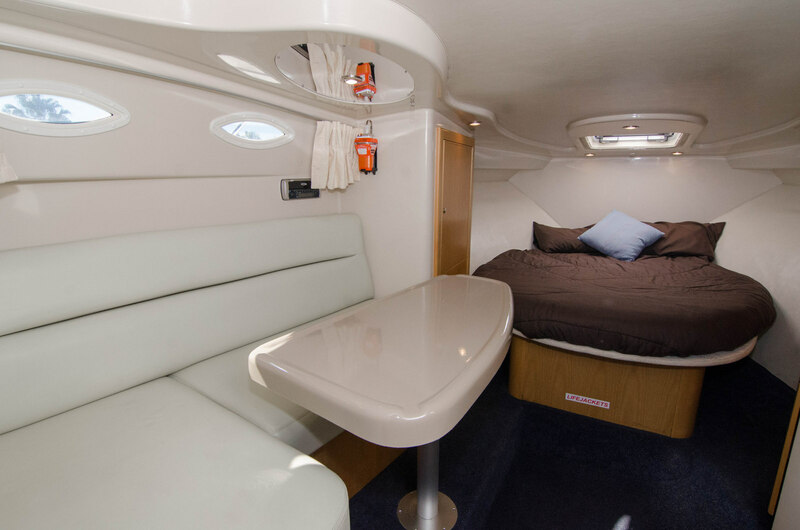 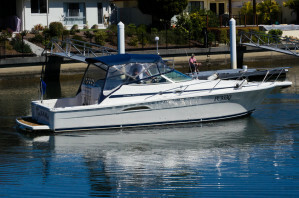 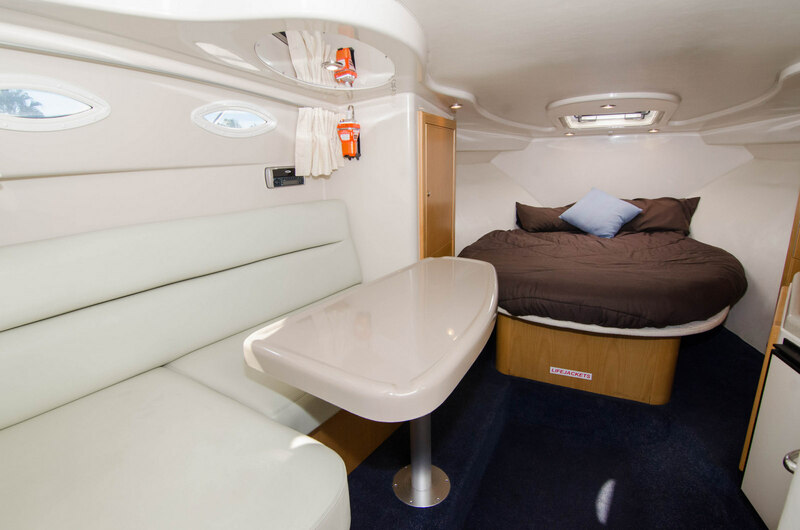 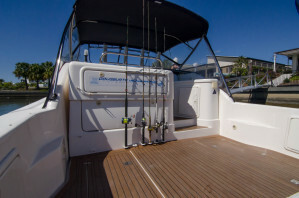 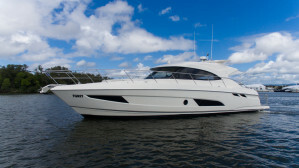 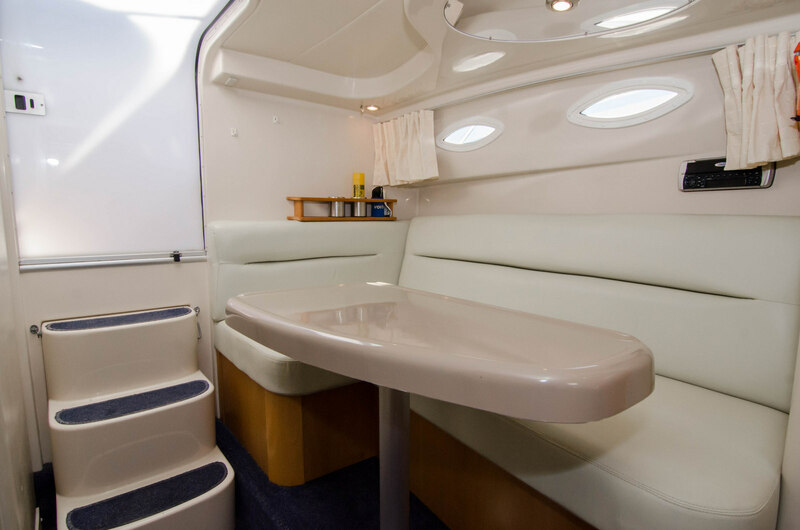 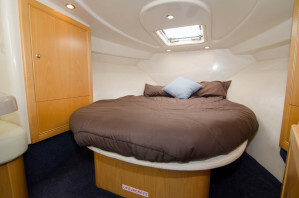 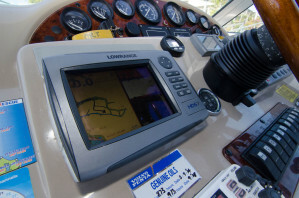 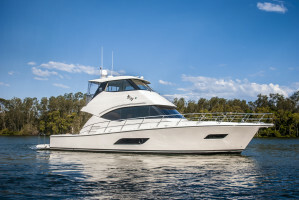 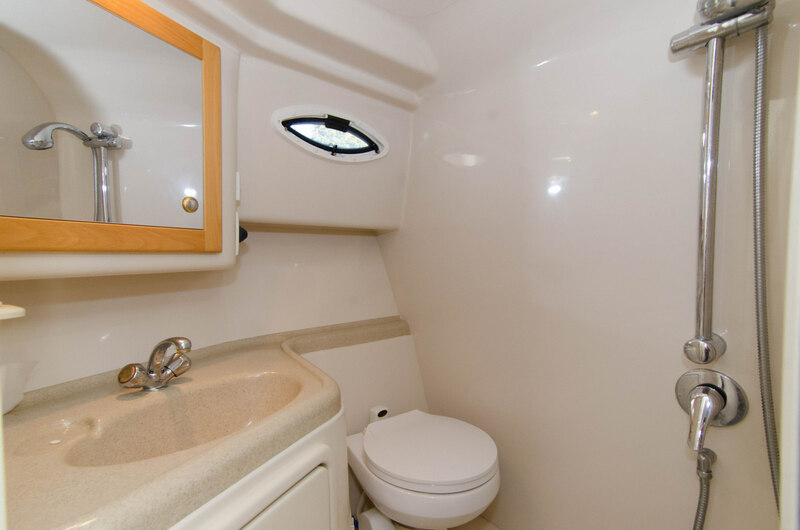 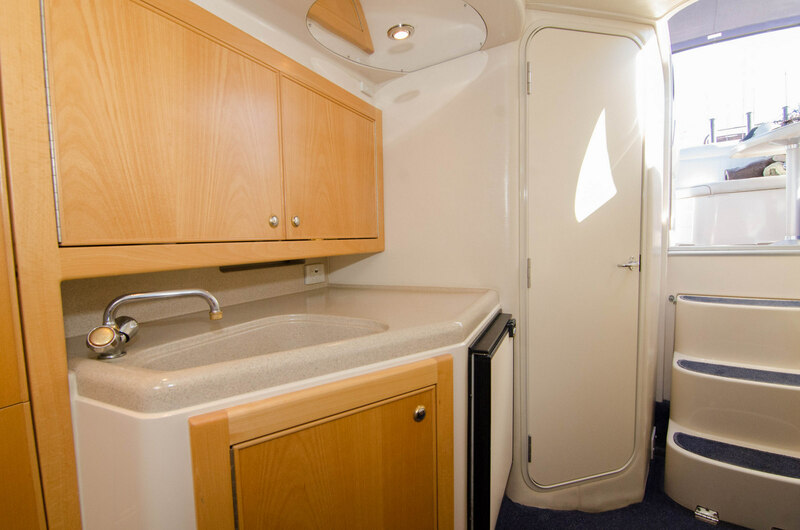 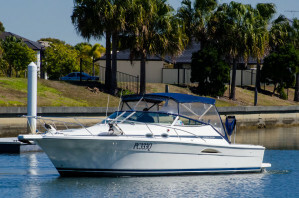 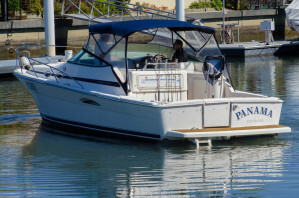 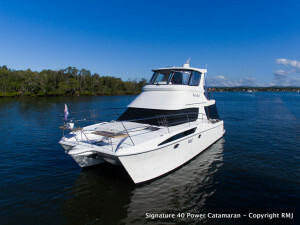 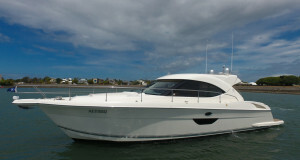 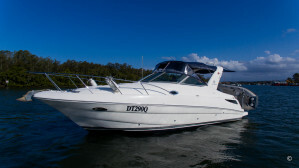 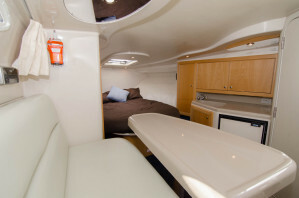 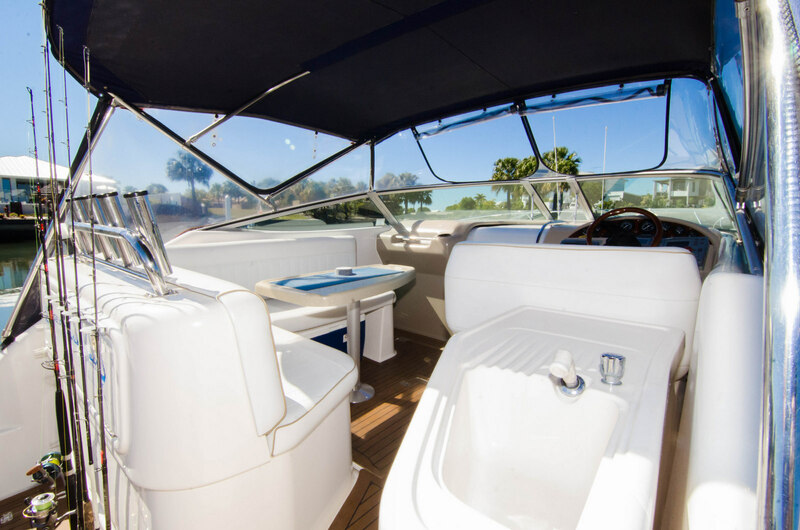 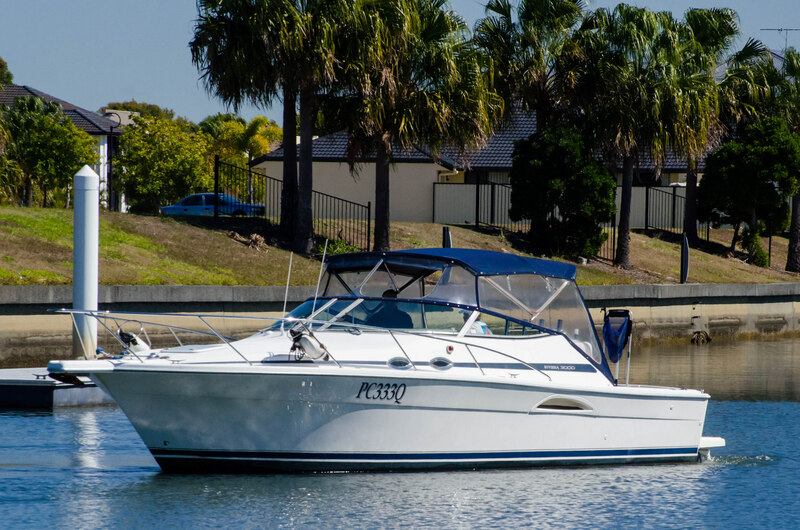 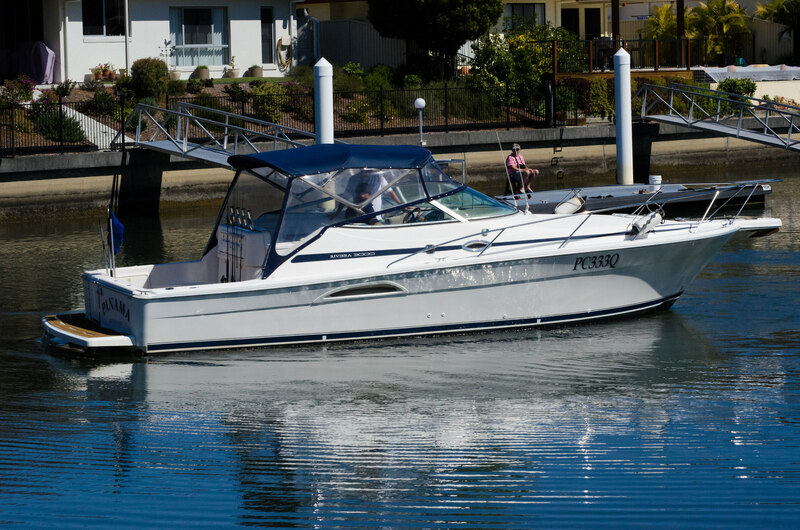 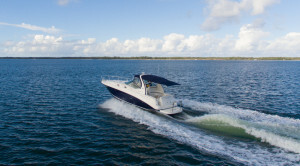 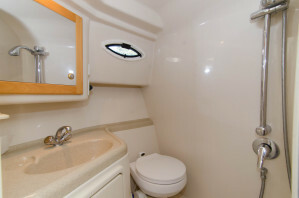 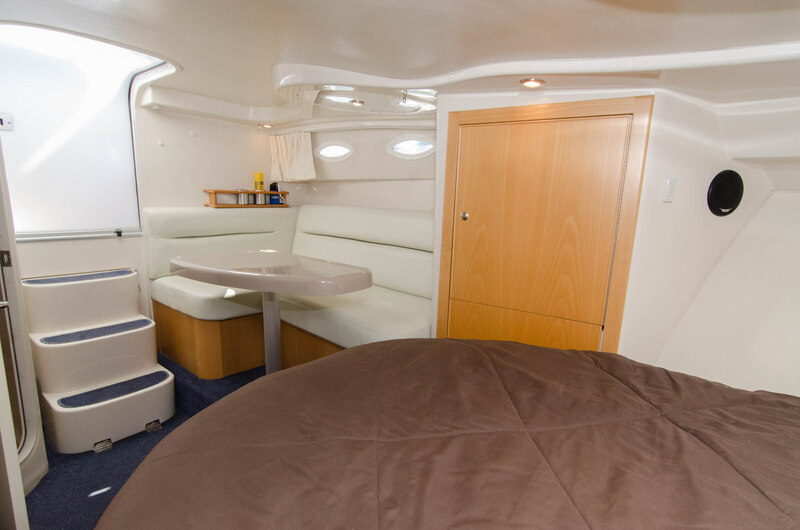 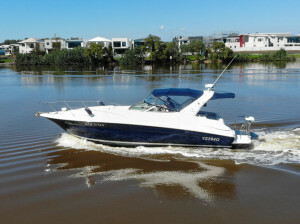 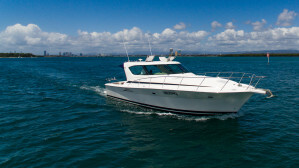 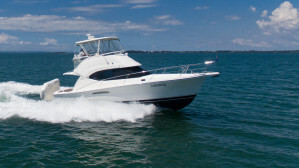 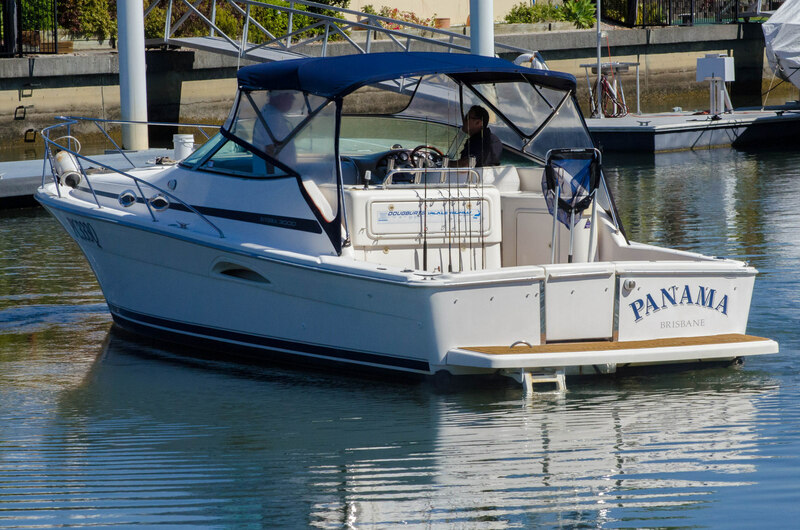 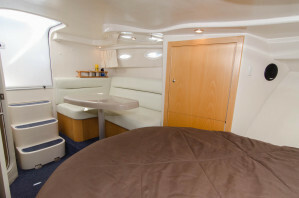 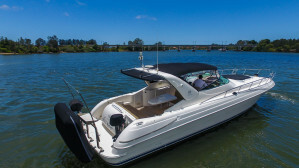 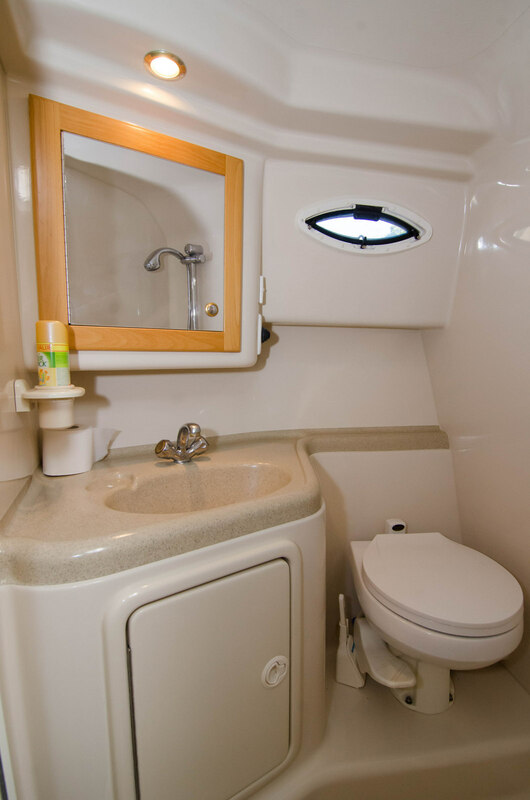 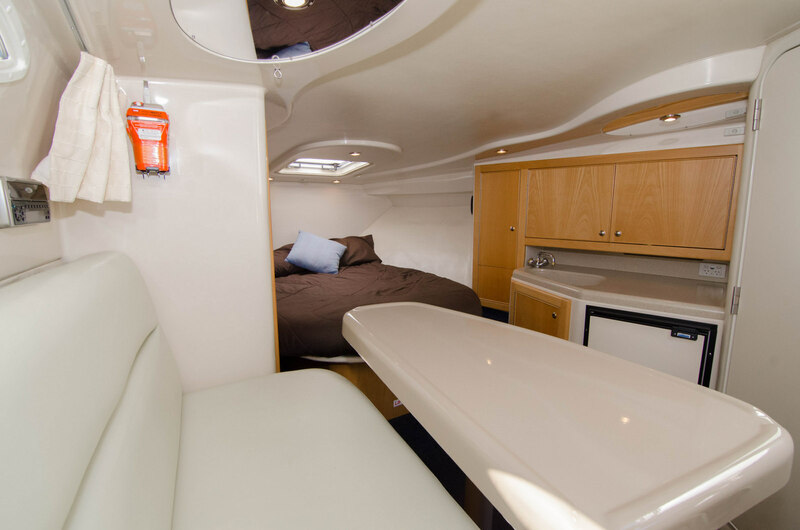 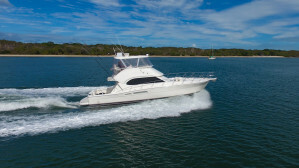 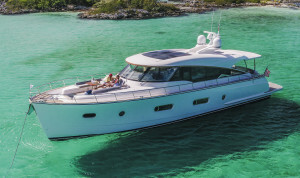 The 3000 Offshore Express model is always in high demand, given they are fitted with diesel shaft drives, an island double bed, bunk bed conversion to the lounge, 2 x lounge/table setups, and a huge cockpit, it is clear to see why they have always been a popular model. 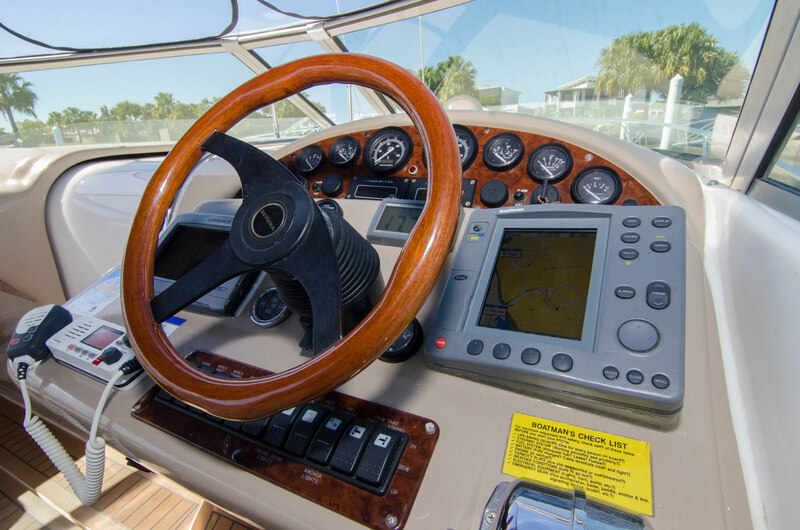 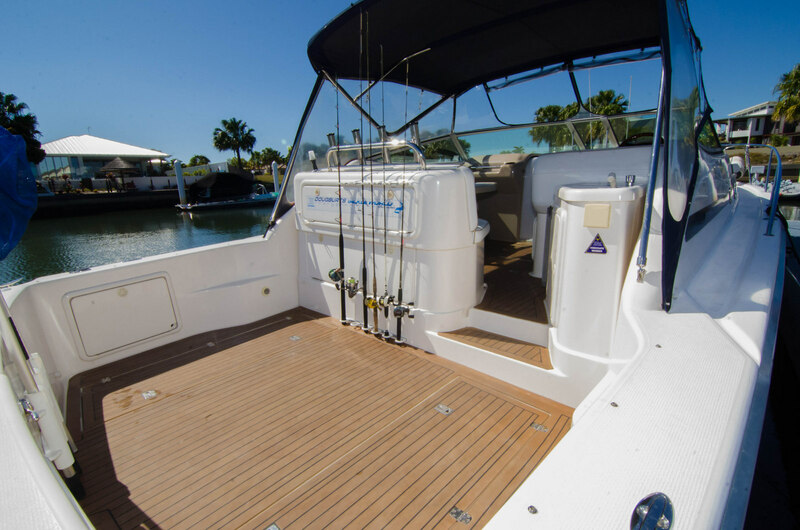 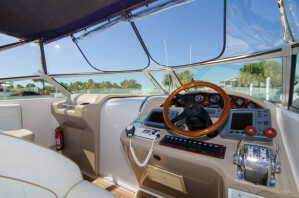 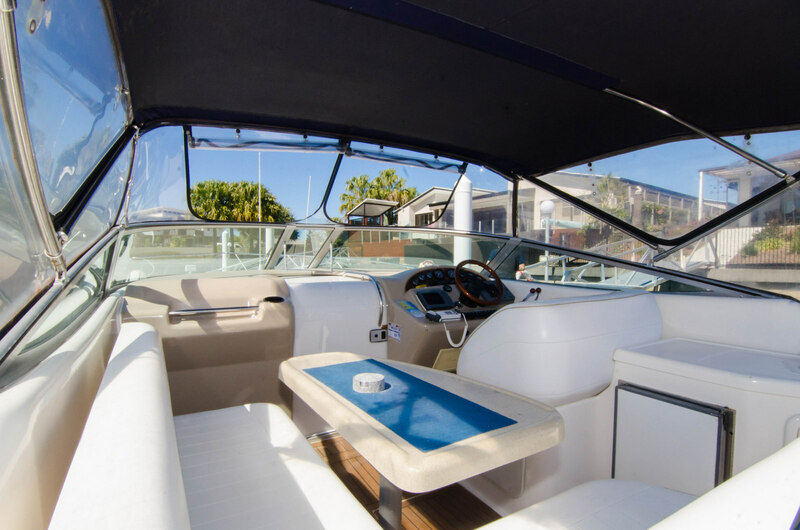 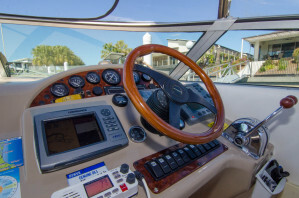 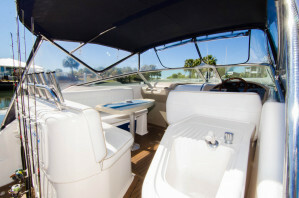 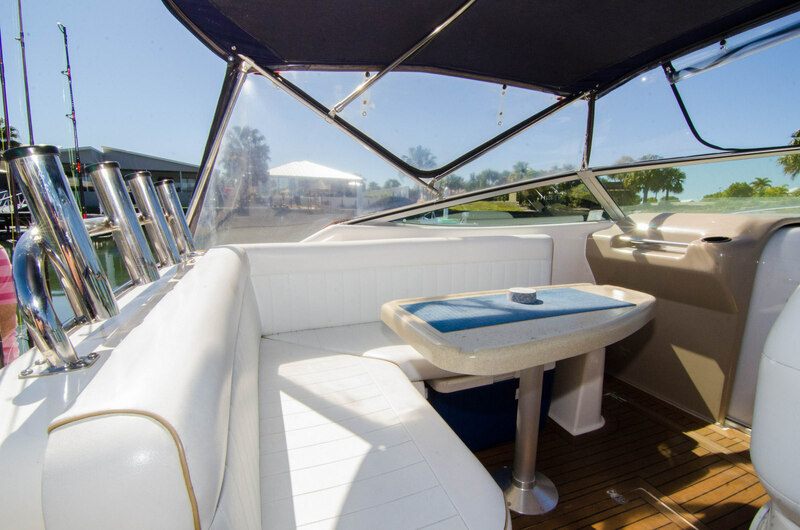 You will be pleased to hear that this boat has Flexi-teak fitted to the cockpit and swim platform, 4 x stainless steel rod holders, and covers galore to protect your pride and joy! 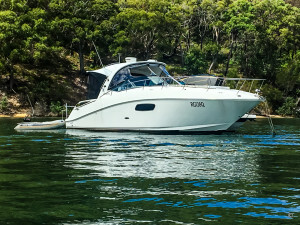 The Volvo Penta 200's will get this 30ft Offshore to a cruise speed of approximately 20 knots, and with a clean bum, she will reach 25-26 knots. 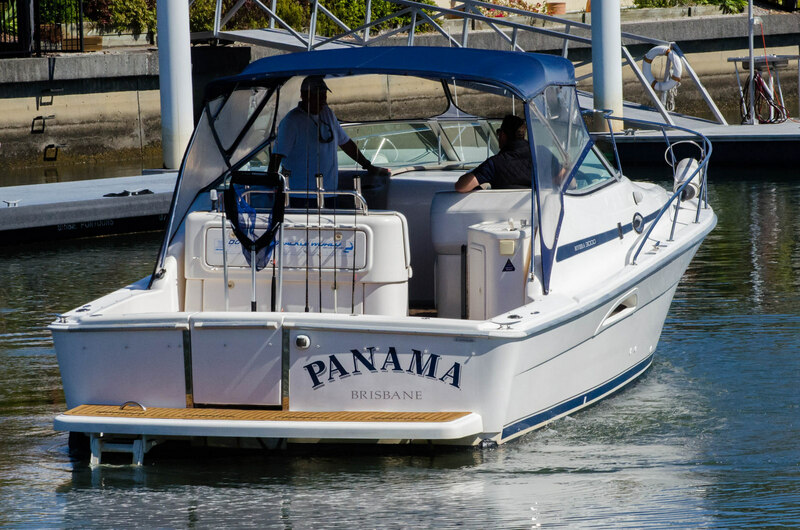 'Panama' has always been owned and cared for by meticulous owners, and that is clear to see. 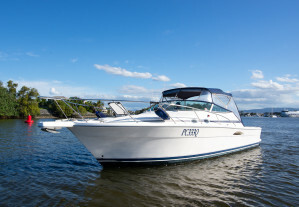 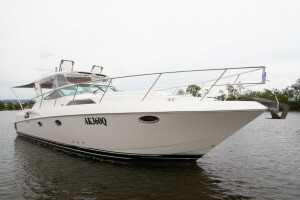 This is a great buy to get your family on the water this Christmas! 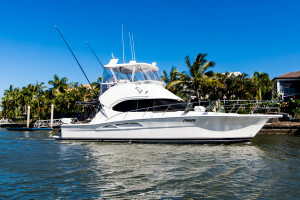 Listed with RMJ, the sales office based at the home of Riviera. 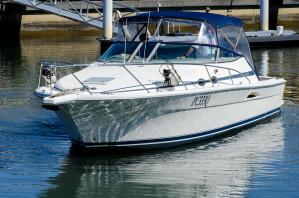 Contact Sam Phillips from RMJ to arrange your inspection on 0403 515 778. Engine Room : Cockpit lounge/helm floor lifts up with electric lifter, providing great engine room access. 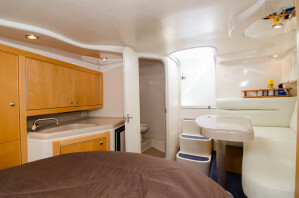 Accomodation Notes : Single cabin, with convertible lounge to bunk beds. Anchor / Winch : Muir anchor winch, with custom wash down hose setup for the anchor chain. 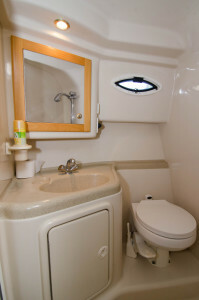 Covers : Windscreen breezeway, cockpit euro awning, cockpit block out cover.